So after posting the Char Kway Teow recipe two days ago, I decided to redeem myself by putting up something meatless and healthy tonight. This dish usually involves steaming the tofu and mushroom for 5-10 minutes but because I am not going to wash my Tefal plastic 3-tiered steamer just for one tofu dish, I microwaved the tofu instead to heat it up. I know right, super lazy but very fast and still delicious! 1. Heat up your pan, add the oil then fry shallots and garlic for 1-2 minutes. Be careful not to brown them. 2. Add in the mushrooms and tau cheo and fry for a few minutes. 3. Add in the combined seasonings and bring to boil. Lower the flame and cook til thickened. 4. Microwave the tofu for 1 minute and pour boiling gravy over. Top with chopped parsley, spring onions and sliced red chillies. Enjoy with a steaming bowl of rice for a meatless meal. 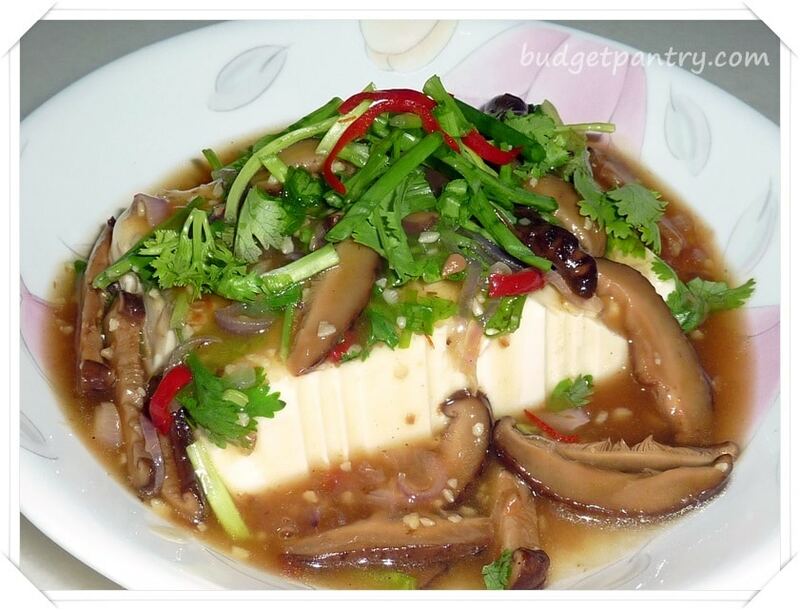 You can also add in some minced meat together with the mushrooms, and double the portion of gravy to spoon over blanched noodles if tofu is not your thing. This is a quick and simple recipe for a wholesome meal. Please don’t tell me you have no time to cook!